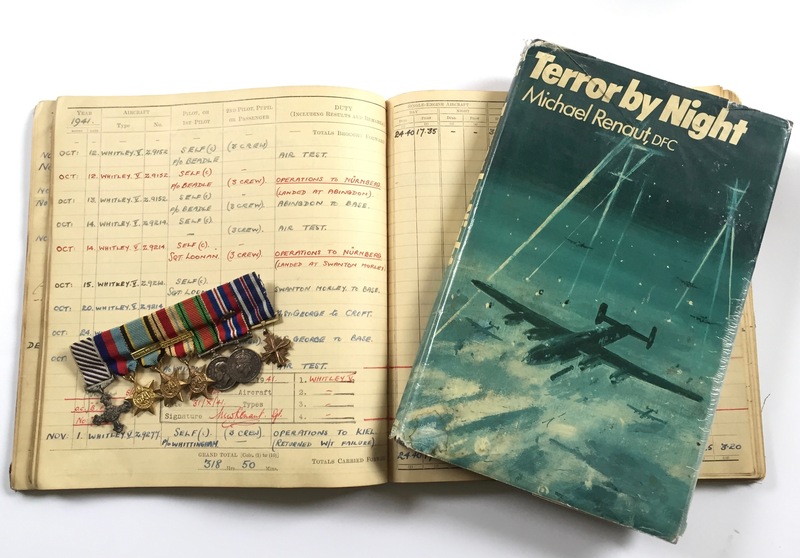 Our third Annual Aviation Collectors Auction proved a flying success and was lead by a fabulous WW2 RAF logbook signed by the Officer who lead the famous Dambuster raid, Wing Commander Guy Gibson VC. His signature appearing in the log seven times. 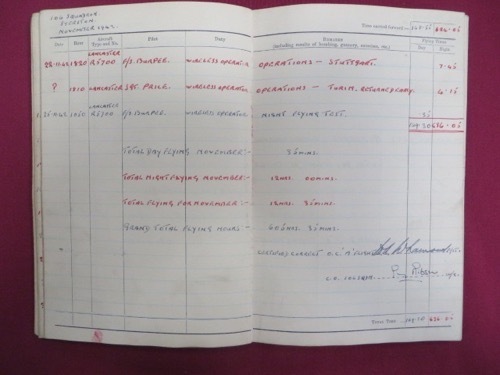 Compiled by Warrant Officer Eddie Leavesley DFM & Bar, a regular crew member of Flight Sergeant Flight Sergeant Lewis Johnstone Burpee DFM who would loose his life on the raid to breech the dams. Creating international interest after a battle between a telephone and live internet bidder the hammer fell at £6,800. 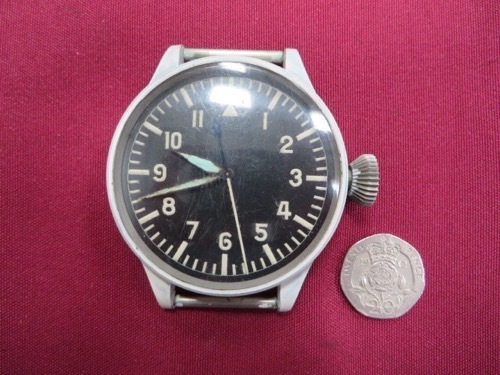 The old saying times flies was proved when a rare WW2 Luftwaffe navigator's watch went under the hammer. Lain forgotten in a drawer of a house in the West Midlands for the last forty years it was discovered and after research was confirmed to have been made by the International Watch Company, the rarest maker of the type. Brisk bidding insued and the price quickly flew to a hammer price of £7,600. The sale was conducted by auctioneer Bernard Pass who confirmed the buoyant and exciting atmosphere in the room was only achieved by the bidding dogfights between the room and live internet bidders with telephone bidders thrown into the mix. 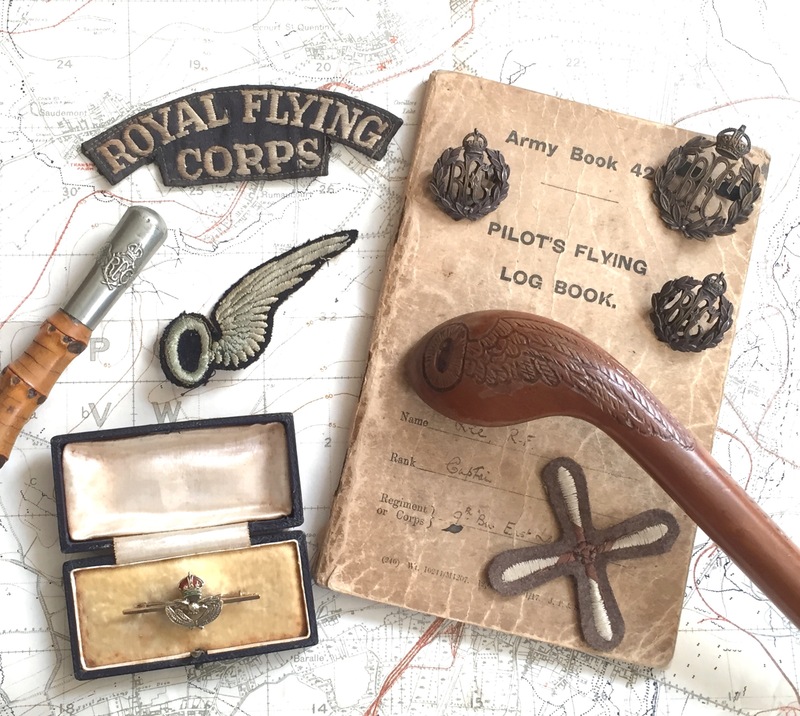 Bernard would like to thank everyone who took part in this auction "Although over 700 lots in the sale, time seemed to fly by and proved that the Aviation Collectors market remains as buoyant as ever for the Bosleys and Marlows team"